Australia's Most Awarded Mercedes-Benz Retailer proudly presents this exceptionally low kilometre Mercedes-AMG C63 Coupe. 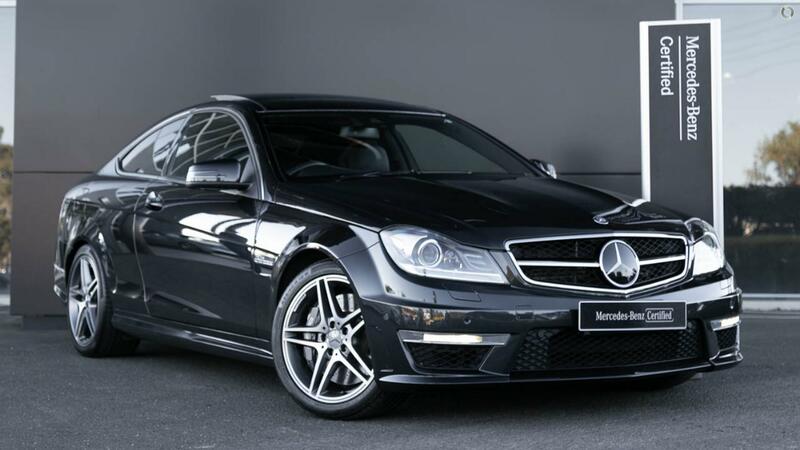 Highly specified and perfectly presented in sparkling Magnetite Black Metallic over soft Anthracite Nappa Leather upholstery optioned with Driving Assistance Package PLUS with DISTRONIC PLUS and KEYLESS-GO Access and drive authorisation system including door handles with chrome inserts as well as the assurance of 2 Years 100% Mercedes-Benz Factory-Backed Warranty & 2 Years Mercedes-Benz Roadside Assistance Applicable Australia-Wide. Take the wheel of your storming 6.3 V-8 Coupe with absolute confidence - ONLY from a Certified Mercedes-AMG expert and the reigning "Mercedes-Benz Metropolitan Retailer of the Year" again, for the 5th time in 6 years! - THERMOTRONIC luxury climate control with dust and activated charcoal filter, display, separate air distribution for driver/front passenger and rear, and solar and air quality sensor. - Panoramic glass sunroof with tilt/slide, electrically operated with convenience closing function. - Warning light/ambient light in boot lid.